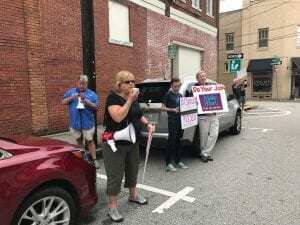 GAINESVILLE, Ga –Bullhorns and chants of “What do we want? Healthcare! When do we want it? Now!” broke the silence outside 9th District Congressman Doug Collins office Tuesday morning as Democrats from across north Georgia protested the congressman and his support for the American Health Care Act. 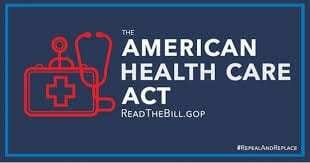 The bill has not passed the Senate and there are indications it may be in for a massive rewrite, so protesting the act now could be premature. 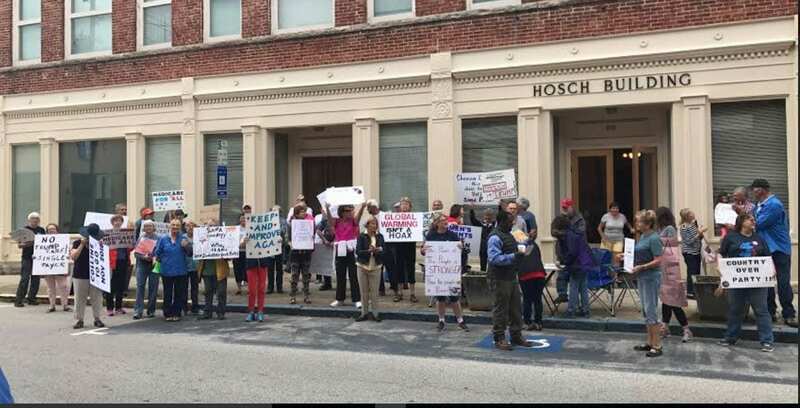 While the AHCA may be the main issue that brought the group to Gainesville, it was clearly not the only issue they protested. One sign read: “Global Warming Isn’t a Hoax. Another protested Russian interference in America’s elections. Standing on the sidewalk beneath Collins’ second-floor window, some of the protesters shouted for the congressman to “look out your window” and “come down and talk to us.” Even aided by the bullhorn, it’s unlikely the voices carried all the way to Washington where Collins was working to represent his district Tuesday. Collins has clearly explained his vote for AHCA, however. 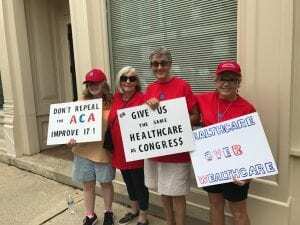 In a March press release, he said, “For seven years, I have watched Obamacare afflict my neighbors with soaring insurance costs and narrowing health care options. Obamacare shattered the insurance market, and Americans now struggle first to afford insurance and then to find providers that accept it. Protesters try to get their message across. 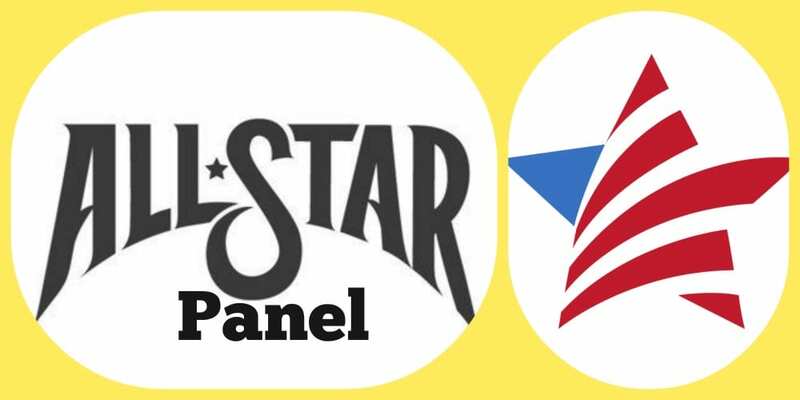 Brittany Ivey traveled to Washington D.C. to be part of a Health Care listening session held by President Donald Trump. 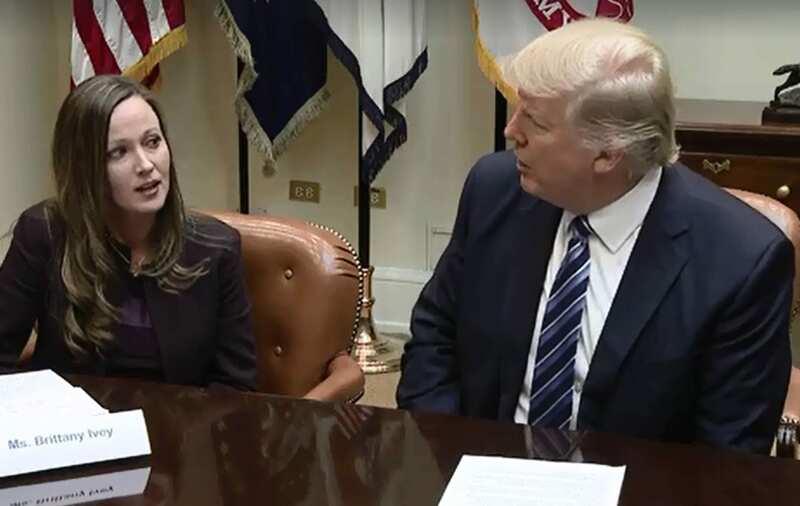 Brittany Ivey from Toccoa Georgia attended a meeting held at the White House with President Donald Trump. Ivey was a part of a l listening session on health care. Brittany describes what it was like to meet the President. 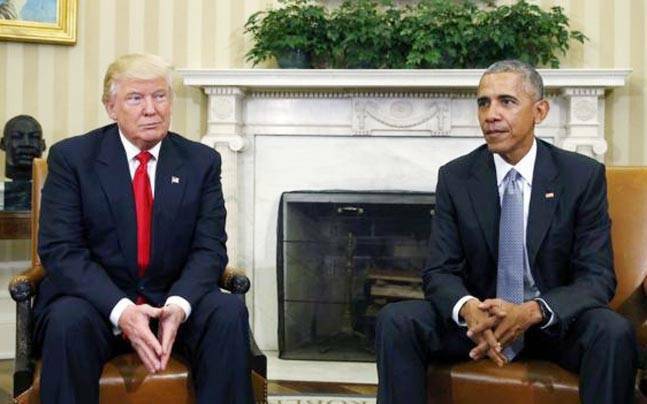 President Trump is nothing like you would expect after listing to the media. The health care loss is not an upset for President Donald Trump. Mark Shields, Public Broadcasting Service syndicated columnist, berates President Trump on a discussion of the recent healthcare loss in the House of Representatives. Shields refers to the Republican Party as a protest party. President Ronald Reagan warned the US of the dangers of socialized medicine/national health insurance. The Trump Administration fully understands all of the implications of socialized medicine, and they will prevail.